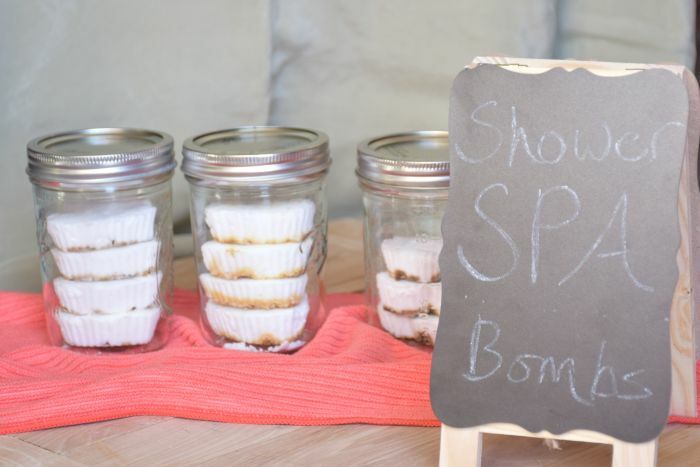 Shower Spa Bombs - Make your Shower a Spa Experience! I’ve been seeing these shower spa bombs on Pinterest and really wanted to give them a try. They all seemed to have the same basic instructions, mix soda and water and dry. Time to give them a try! Some instructions said to mix the oils in with the soda water, others said to add the oils after drying the “pucks”. Some recipes said air dry for 24 hours, others said to dry in the oven. After a bit of experimentation I found what seems to work the best. I wonder if altitude or humidity levels are often responsible for the different results that people had with different instructions. 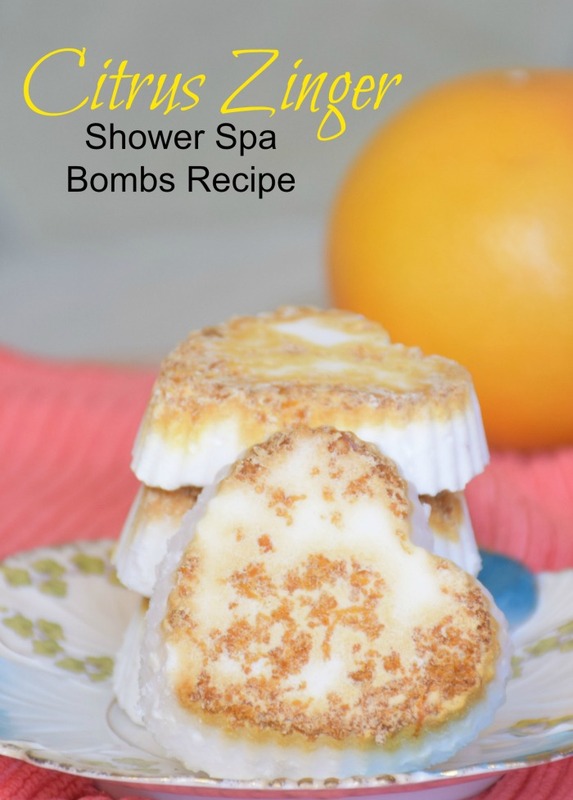 You may need to adjust time or ingredients a little but I’ve done my best to make a recipe for shower spa bombs that will work for everyone. First of all… Use silicone muffin liners. Paper will NOT work, nor will just using regular muffin tins. 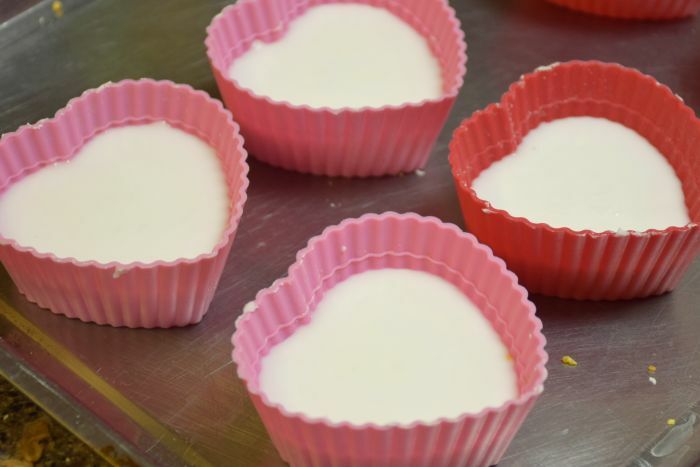 I used these fun heart-shaped cupcake forms. Find them here. If you are making these for yourself, you can skip the next step. If you are making them for gifts (think Valentines!) 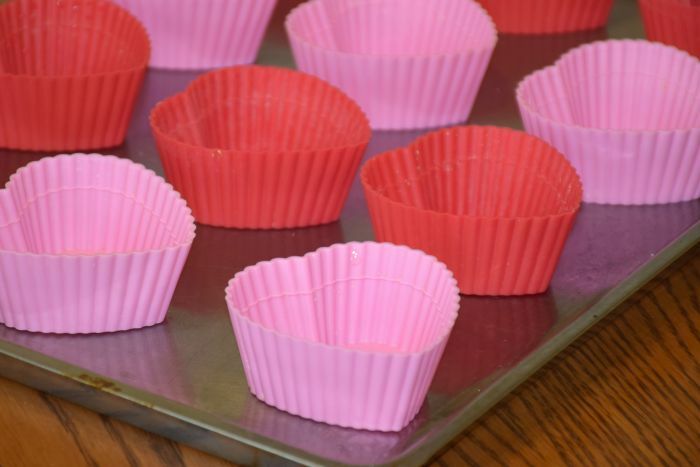 you may want to place a little color on the bottom of each cupcake liner. Glitter would work nicely and be fun. I don’t recommend using any type of dye or colorants though, as they could stain the tub. I made 3 kinds of shower spa bombs. The Citrus Zinger got orange zest. The Sinus Clear got a small amount of dried mint. The Relaxer got lavender buds. I will say the orange zest looked the best in the end, and using a very small amount is key. Next mix 2 cups baking soda with 2/3 cup of water. This mixture will be very dry and almost crumbly still. You can add a tablespoon more of water if needed but the more water you add, the more porous your bomb will be and the faster it will dissolve. Scoop 2-3 tablespoons of the mix into each muffin form. As you can see by the below photo, it will look like a crumbly mess. Once you’ve spooned the mix in, use your fingers and begin gently pressing down own the mix. This took the longest for me, but gently pressing like that did a great job of getting it down into the corners and made the top nice and smooth. This mix will fill 10-12 cupcake molds. In a preheated oven, bake at 350 for 20 minutes. Remove the bombs from the oven and allow to cool for approx 10 minutes before removing them from the molds and placing upside down on a tray and baking for 5 more minutes. Allow to cool completely. Use 5-7 drops of your favorite oils or blends on the white (top) part of your bombs and allow to sit for 30 minutes before sealing them in an airtight jar. 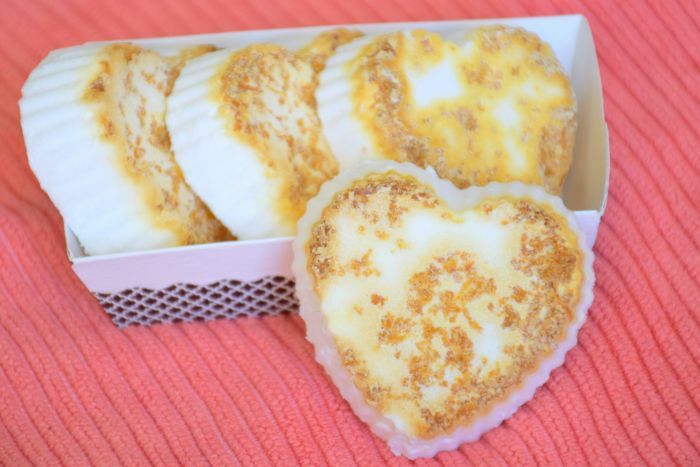 Printable Recipe for Shower Spa Bombs! 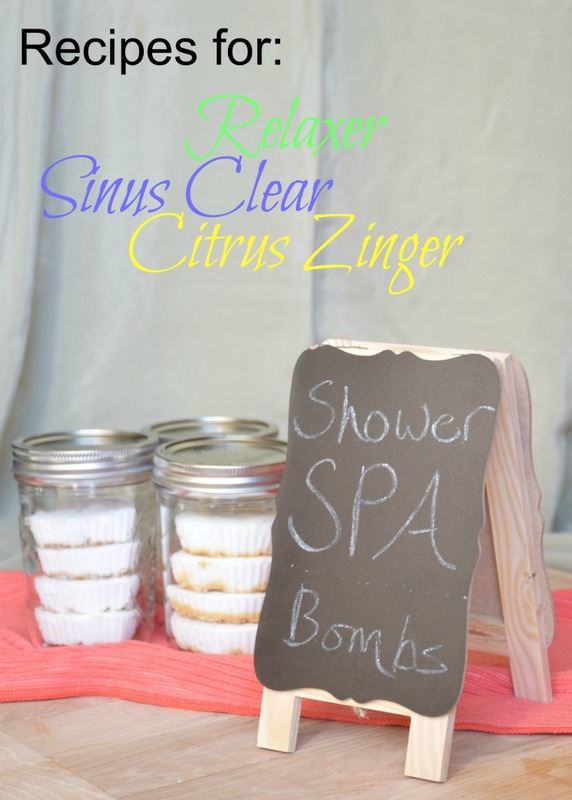 Easy shower spa bombs to turn your everyday shower into a mini spa experience! Optional glitter, citrus zest or dried herbs for color. 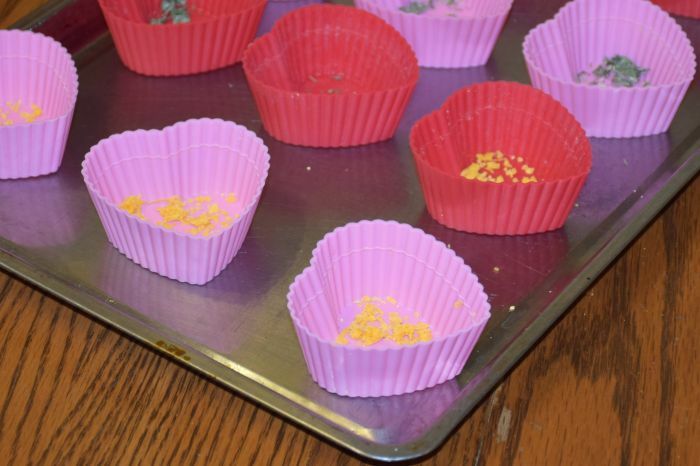 If using glitter or other color options, sprinkle a very small amount into the bottom of each cupcake mold. 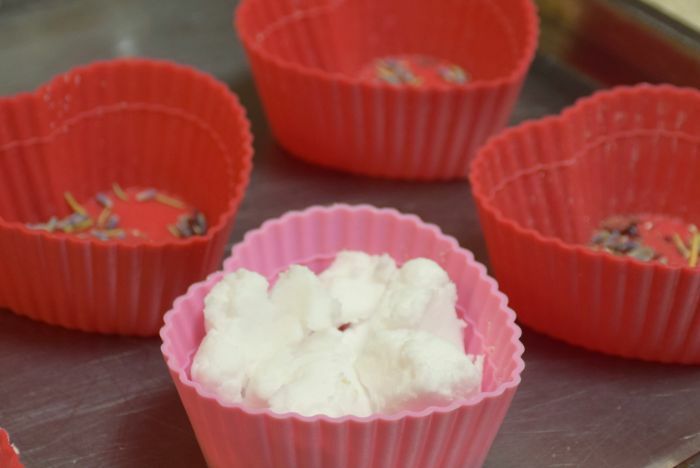 Use fingers to press 2-3 tablespoons of the mix into silicone cupcake molds. Cool for 10 minutes and remove from molds. Bake out of the molds for another 5 minutes. Allow to completely cool and add 5-7 drops essential oil of choice to each bomb. Store or gift in an airtight container. Place one of the floor of your shower for a mini spa experience. 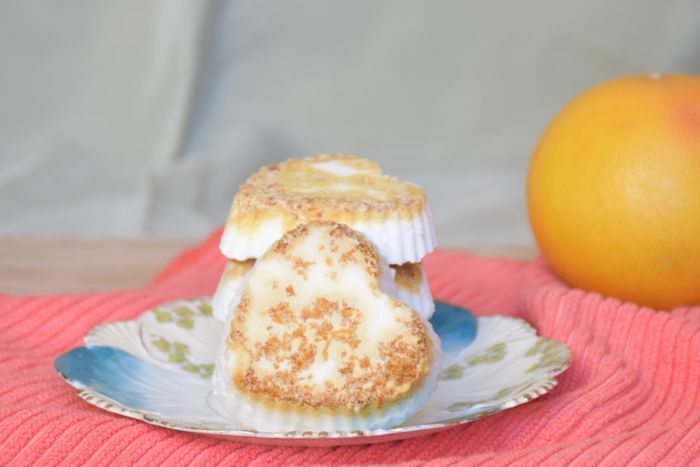 Citrus Zinger: 2 drops each of lemon, orange and grapefruit. Sinus Clear: 2 drops each of Wintergreen, Melaleuca, Eucalyptus, and Peppermint. or 7 drops of Young Living Peace and Calming. Get creative with the oils you use but limit to no more than 7 drops per cake, keeping in mind that strong oils will need less, otherwise you will be standing in the shower with eyes streaming from peppermint fumes! How to use these? Easy! Place one on the floor of your shower. The hot water makes steam, and steam rises. As the shower spa bombs dissolve, the oils will rise in the steam giving you a 5-10 minute spa experience just by taking a shower! Well this is absolutely awesome! I never ever thought of something to effortlessly dissolve in the shower giving a spa-like experience. I’ve always wanted to make these and now I will. Thanks for sharing! Love! I don’t like taking baths and usually only see recipes for bath stuff. So excited to try these!